As the world's number one importer of Swiss watches, Hong Kong is well set to power up the booming business of online trading in second-hand luxury watches, says WatchBox's chairman Liam Wee Tay. And the Philadelphia-headquartered e-commerce platform has put money behind that belief. 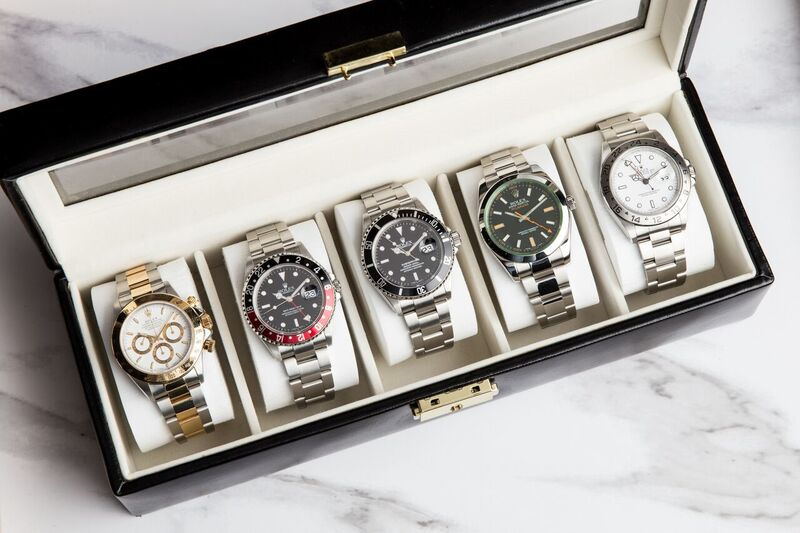 WatchBox opened a Hong Kong office in 2017 to expand its business in selling and buying second-hand timepieces. The company has invested solidly in its own mobile app during the past few years. This allows people to upload pictures of watches with accompanying information such as purchase date and price, serial numbers and warranty details. The average value of an individual's watch collection uploaded to the WatchBox app is US$57,000 (HK$443,460) in Hong Kong, says Tay. That compares with US$43,000 in Singapore and US$24,000 in the United States. "This further emphasizes Hong Kong as a key market where we can capitalize upon and elevate the pre-owned luxury watch category," adds Tay, who was previously chief executive of Hong Kong and Singapore dual-listed Sincere Watch (0444). Hong Kong has ranked first for watch exports from Switzerland in terms of value for the past three years. They amounted to 2.77 billion Swiss francs (HK$22.1 billion) from January to November last year, which was 27 percent up on the corresponding period in 2016. The US, China and Japan follow in terms of value, Swiss industry data show. Switzerland, in fact, is the source of about 40 percent of Hong Kong's watch and clock imports. WatchBox in Hong Kong operates an e-commerce center and a collectors' lounge showroom on Duddell Street in Central. In winding the digital experience, WatchBox has also recently invested US$200,000 to develop an augmented reality feature for the company's mobile app. This allows prospective buyers to digitally preview a watch on their wrist prior to purchase. By printing and wearing a proprietary bracelet from the company's website, users can virtually try on hundreds of watches from WatchBox's growing inventory of brands, including Rolex - the most popular brand for Hongkongers - Audemars Piguet and Omega. Driving the latest innovation is WatchBox's chief technology officer, Shri Ballal, who was previously managing director of EA Games Core Engineering. The venture into augmented reality was backed by Singapore-based private equity firm CMIA Capital, which led an initial investment round totaling US$100 million to spread the multi-platform strategy around WatchBox's key markets. 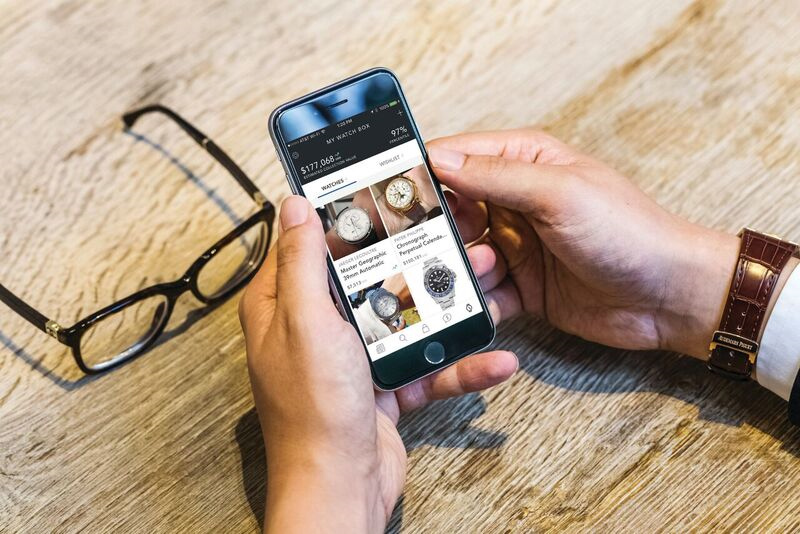 Another feature of the company's flagship mobile app is a pricing guide which allows online buyers to find out how much a watch has fetched during the past 12 months. The guide includes over 80,000 references based on WatchBox's proprietary algorithms and database, involving millions of transactions in the pre-owned watch market. The app also offers a trading feature for users to sell or swap watches on the online platform. Sellers can be paid as fast as 24 hours of a deal, Tay says, with a concierge completing the transaction.